It’s the late 1990s, and you need to somehow transfer that HUGE 8 megabyte file from one computer to another. It’s too big for a 3.5 inch floppy disk, and emailing it wasn’t an option because this was the 1990s! Flash drives were still a couple years away, and Dropbox was a pipe dream at best. So what could you do? In comes Iomega and their zip drives to save the day! Woo! These things were amazing. 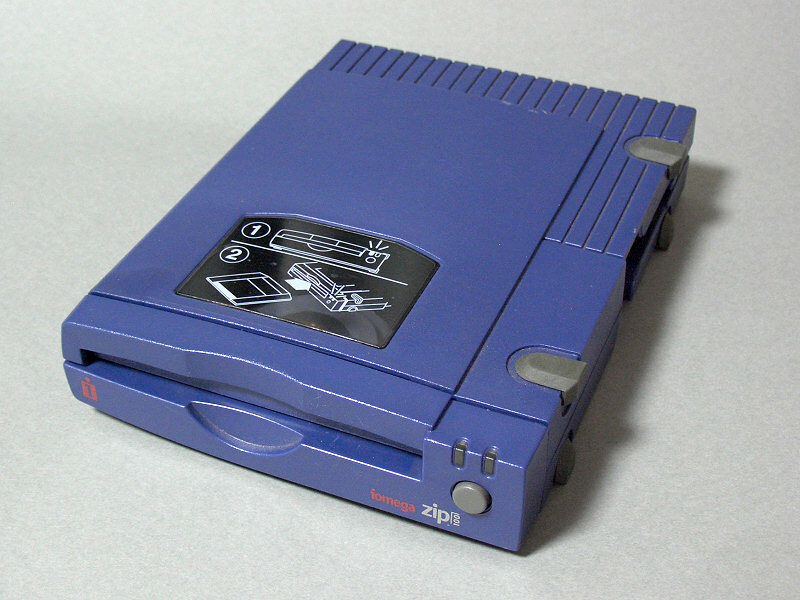 Not only could you backup your REALLY important files off that screaming Pentium 2 machine with a 500 meg hard drive, but you could actually pack up your zip disk drive, cables and all, and take it to a friend’s machine where you could hook it up and transfer that large file in question that they so desperately needed. Whoa, hold on there, partner! You forgot the install disk? Tsk tsk. Remember, this was the 1990s. Plug and play was a fantasy that only worked about 5% of the time, and these zip disks needed a guest program (conveniently installed from a 3.5 inch floppy disk) in order to read this magical zip disk that could hold a whooping 100 megs! Once you went ALL the way back home to get the disk you originally forgot, and then went ALL the way back to your friend’s house, you could pop that bad boy in, install the guest application, and transfer that 8 meg monster through those old fashioned serial ports. Several minutes later, the file would be sitting on your friend’s computer and you could both sit back and awe at the fact that you have finally arrived in the future. 2 Responses to "Zip Disks"
Sadly I still have mine w/nowhere to use it. I’m in the same boat as you.